Golden Sands Resorts being a family and kids friendly hotel is definitely a good place to bring your family for special treats and celebrations. The short drive to scenic Batu Feringghi not only is a feast for the eyes with blue seas and green hills, the foods available at Golden Sands’s Garden Cafe daily is a feast for the family too. You can find out Golden Sands latest F&B promotion on their Golden Sands Garden Cafe link here. 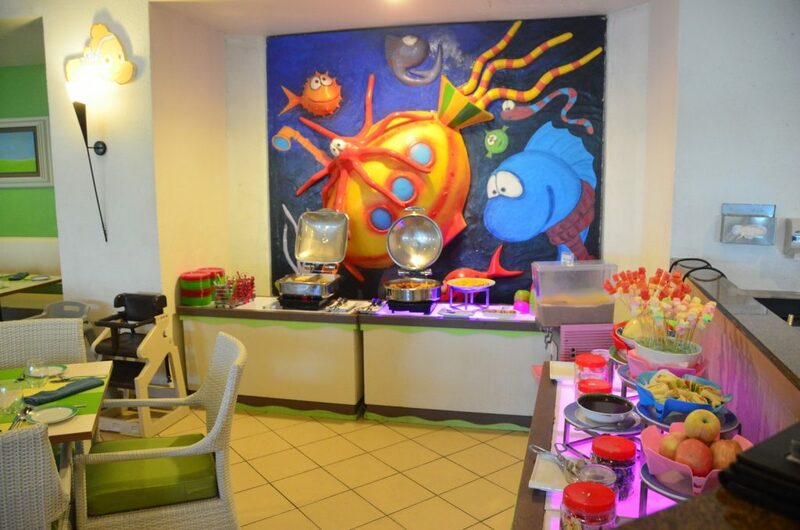 Parents will like the kids section which not only have cute decor but kids friendly menu and cutleries. No longer parents have to worry about kids breaking plates nor spilling foods as the thoughtful Garden Cafe caters for children. 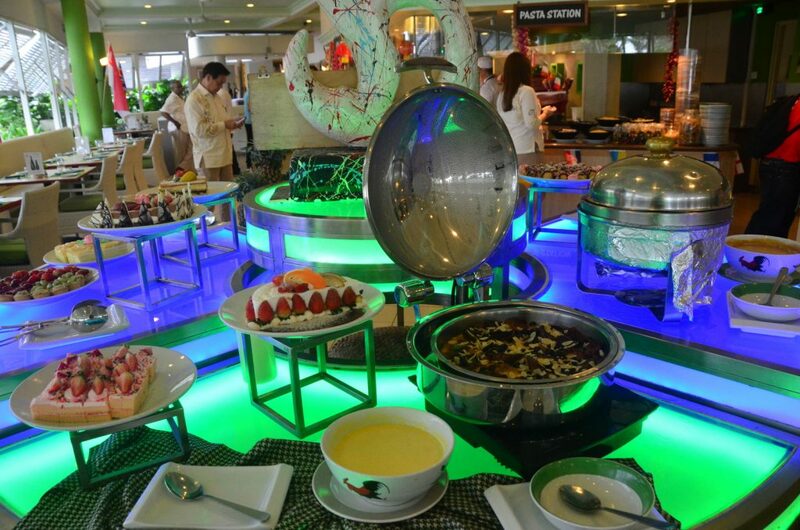 There are healthy fruits and snacks plus dishes which even fussy kids will gobbled up. The Garden Cafe has al fresco dining and early patrons can take a walk by the beautiful white sandy beach or take some photos in the nicely kept poolside gardens. Friends, colleagues and families have no hassles of looking for parking as the hotel provide ample carparks. So it is a great idea for group gathering. 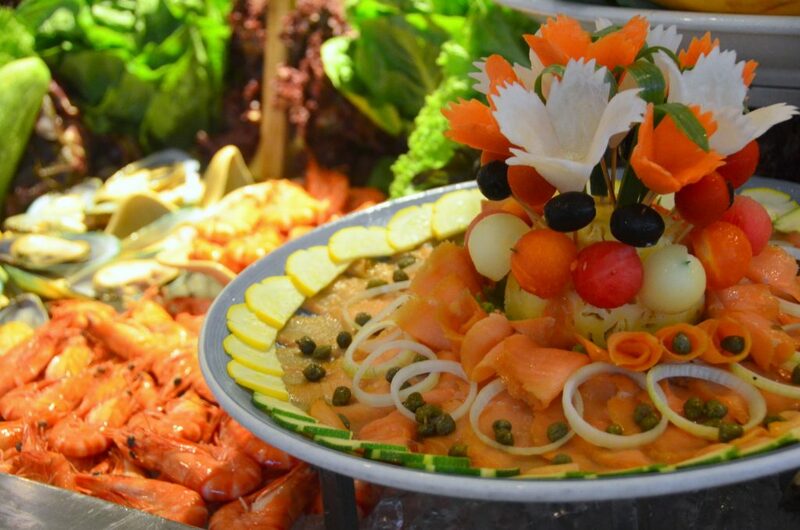 On every Thursday, Garden Cafe serves “Around the World” Buffet from 6 pm to 10 pm. Priced at RM98 nett, kids get to eat for free while senior citizen gets 40% off, it is definitely a great bargain for young families with small kids and parents to spend quality family time together. 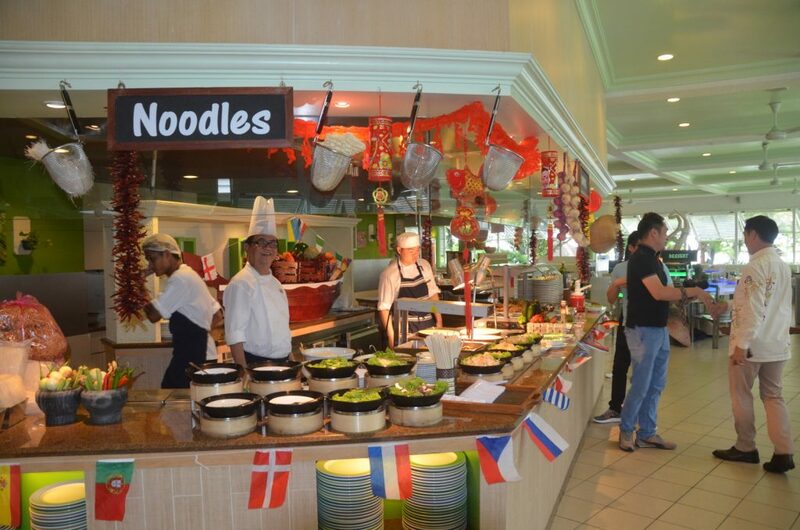 The Oodles of Noodles station provides both local noodles and also Italian pasta. 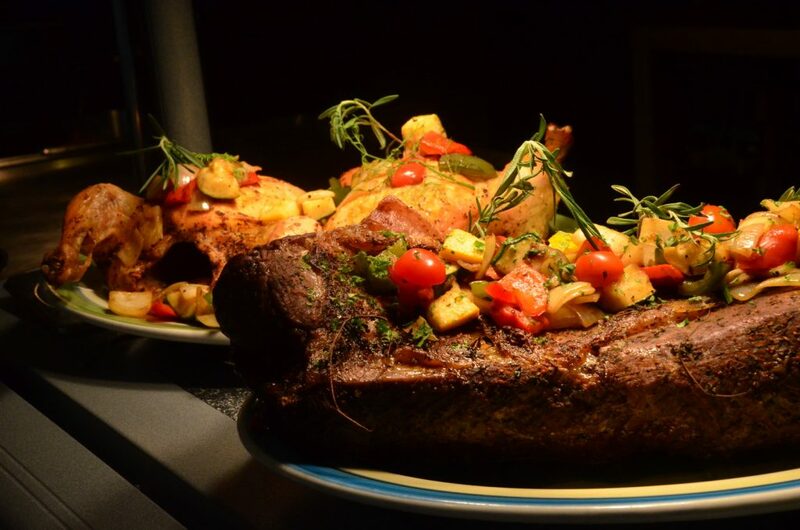 On the menu is Roasted Beef which was roasted to perfection. Also on the carvery table is roasted chicken with herbs from Golden Sands own garden. Staff from Golden Sands shared that their hotel is very concern on their ingredients sources and strive to provide the best. Diners will love the wide array of smoked salmon, chilled poached prawns, mussels served with various condiments and sauces. 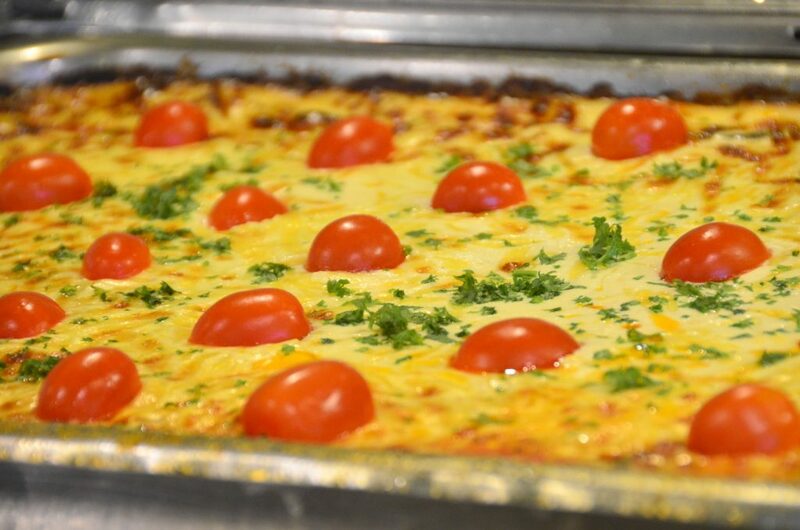 The Mediterranean Baked Egg Plant with Pasta and Potatoes is the show stealer. Though rich, the egg plant provides a nice balance in flavour and texture to the pasta dish. Compliments to the chef. 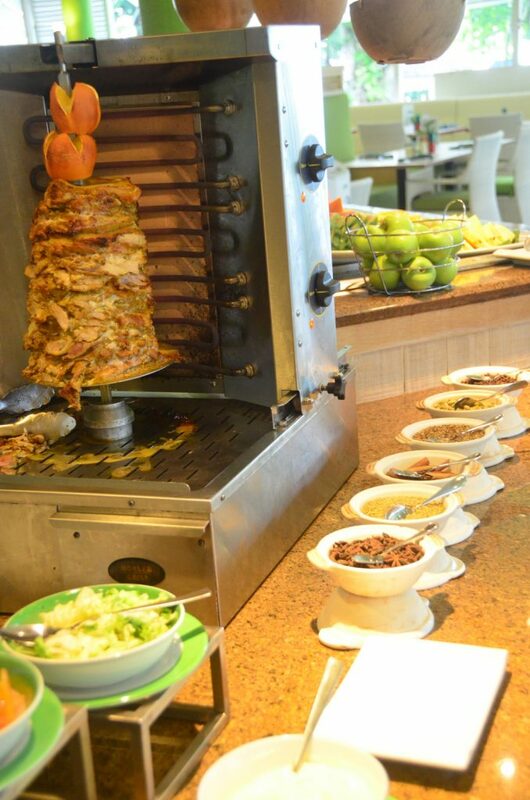 The Egyption Chicken Sharwarma with condiments and Arabian Bread is cooked to suit the tastes of the Mid-Eastern guests of Golden Sands. According the chef, they have carefully prepared the sharwarma ‘just like how it should be done’ and indeed, the healthy grilled chicken and bread has all the right crunchy vegetables without overpowering ketchup like some of what we get normally. The dessert available is superb but the best is the banana bread & butter pudding. 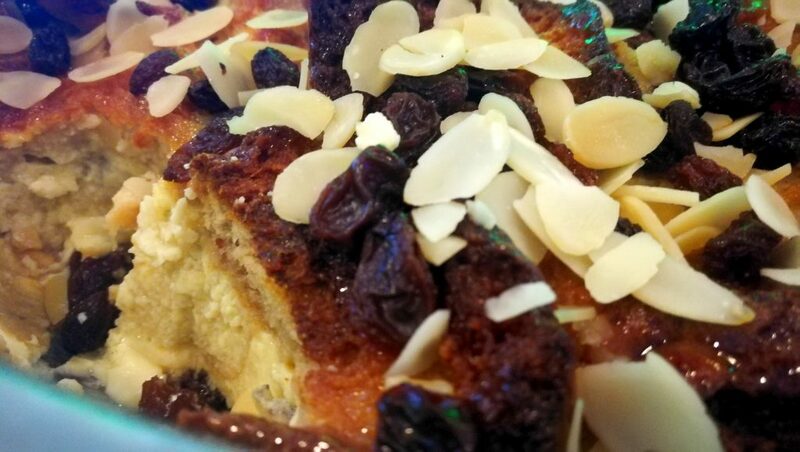 There are apple strudel, French pastries, profiteroles, tiramisu, cream caramel but the humble bread and butter pudding has the nice sauce with tinge of pandan fragrance.